I’ve recently suffered a terrible loss. My part-time housekeeper has found a better opportunity elsewhere. While this is great news for her (and I wish her all the best), it is awful news for me. I am going to have to somehow figure out how to insert deep cleaning back into my already full schedule. Cue the nervous tics. 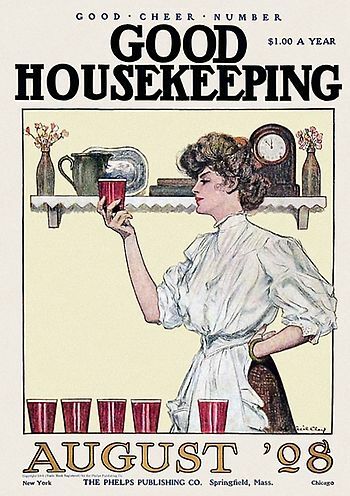 She wasn’t coming by weekly, and I have never completely abdicated my responsibility in keeping the house habitable in between cleanings, but I am probably not going to have my house featured in Good Housekeeping Magazine based on my efforts alone anytime soon. The days she did arrive were near magical. I would open the door and all the surfaces were polished to a high shine. The kids could be shouting or running around like maniacs and I could sit back and enjoy them rather than feel the stress of needing to straighten everything up pile up on top of the stress from the work day. I get asked all the time how I manage to work a full-time job, raise two kids, and write. I’ll let you in on my little secret – I now outsource whenever possible. But I wasn’t always so willing to let go. I spent the first several years of my career with the idea that the only way to prove myself as an effective team player and overall value to the organization was to do everything myself. I rarely turned a task down. Obviously a person asking me for my help was doing so because they knew I could take care of it effectively and on time. 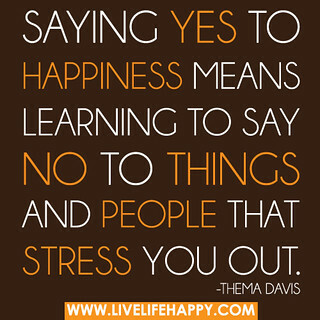 Saying no would be admitting to a weakness or other failing. Saying yes to such a request was the easiest way to accept their high praise of my work. Right? A few years later a position in management opened up. I thought to myself, I’ve shown everyone how great I can be, I know I am going to get asked to fill the position. I am the clear choice. Luckily I was able to identify a quick fix solution for the first two errors. I would train my peers making my replacement easier to find. I did this by delegating tasks, because hands on experience works best. Additionally I learned how prioritize and how to say no. I needed to focus my time on only the most important tasks. Up until this point I had a great relationship with my boss. He was well aware of my career aspirations. Unfortunately his departure from the company was the reason for the open management position. I did not have nearly the same relationship with the remaining hiring manager. He would not know I was interested in the position if I did not have the confidence and courage to ask for it outright. I wrote a whole essay on why I deserved the position in the most basic persuasive format: intro, reason 1, 2, 3, summary close with action statement. It must have gotten my point across. I was offered the position, and could have easily reverted back to the friendly co-worker who said yes to everything. Sure, I would have been liked by everyone, but I would have been positively buried by work. My first year in management might have been my last. I either would become burnt out, or so ineffective at the job I was hired to do that my boss would have had no choice but to replace me. Sure, I like to think that I can take on any task my company throws my way, but I’ve learned to recognize that so could a number of other people, especially if given a little bit more practice. If I want to develop my staff to their fullest potential then I owe it to them to delegate more from time to time. Additionally while no one likes to be told no all the time, the occasional “no” can be liberating. I may not be able to say I have it all, but truth be told I don’t want it all. I don’t want to spend every waking hour during the week working, or my weekends cleaning. I don’t want a life full of stress. I’d rather spend my time with my family or the working on the tasks I enjoy such as writing my next project. Unfortunately until I find my next great hire, it would appear that I need to become re-acquainted with my vacuum. ← What is your personal mission statement? Great post. I think that learning to say ‘NO’ is a really important skill, whether it’s in a friendship, with children, work mates or even one’s dog! It’s all about setting boundaries and having clear expectations. And so important in the workplace. As for your housework dilemma, perhaps put on your favourite music and see it as a kind of workout? Other people are always telling me they do that. I find I can’t hear the music over the vacuum cleaner!! So very true. Luckily my eldest son is old enough now to be given some chores. I am hoping that we might ‘bond’ together over some basic cleaning.